Your new angel's skin – is anything softer? Is anything sweeter? Hey! What's that crud, that yeast rash, and those scrapes? Being a baby is a hard business, from diaper rash to tiny fingernail scratches to cradle cap, and more as they begin to explore. Organic Diaper Balm is a safe, effective, herbal diaper cream that safely battles existing diaper rash and protects against flare ups. 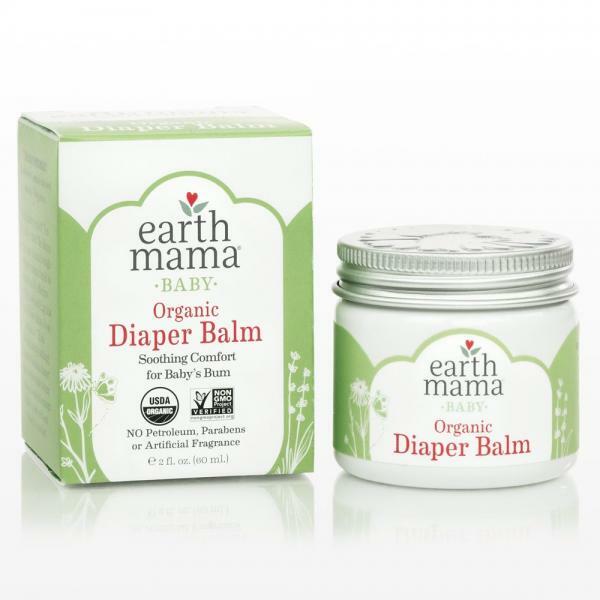 Certified by Oregon Tilth, it's the only ointment made with Earth Mama's proprietary blend of naturally antibacterial and antifungal organic herbs, Shea butter and pure essential oils, soothing to thrush, itchy bug bites, scrapes, chicken pox, minor rashes, and burns. From diaper bag to your family's first aid kit, Angel Baby Bottom Balm is a one-jar wonder.